Michael Allen - Head writer, editor, webmaster (2008-Present). Michael Allen became traumatized by a leather-masked villain and belligerent spirits at an early age. Tales from The Texas Chainsaw Massacre 2 (1986), The Exorcist (1979) and Cat People (1982) left a lasting impression on this viewer, one that would follow him into adulthood. This long time horror fan would look for the darkness in strange characters, even into his English, Psychology and Arts degrees. At university, this horror reviewer read the classics, while thinking of chainsaws, haunted houses and scary children (Children of the Corn). 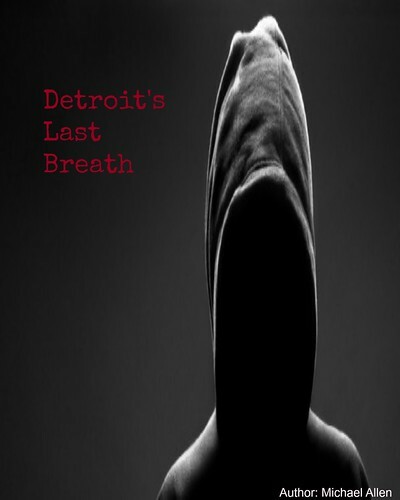 In 2014, this writer wrote and published his first novel, titled Detroit's Last Breath. Still, his bloodlust was not satisfied and he is currently writing a new novel, which will be released soon. 28DLA.com was started in 2008. Since this starting date, this reviewer has been featured in several horror magazines, including Rue-Morgue and Absolute Underground. This long time critic and site have also been featured on numerous DVD covers, including Psych 9 (2010), Panic Button (2011) After the Dawn (2012), American Maniacs (2012), Infini (2015). As well, this writer has been hosted on a number of posters and alternate posters for films such as: Neverlost (2010) The Scarehouse (2014) and the United Kingdom theatrical quad poster for Psych 9. This veteran writer also works behind-the-scenes, in the horror world, by circulating press releases to horror themed websites. Several hundred horror and thriller focused films have been cross-promoted by him, in the very welcoming horror community. Finally, this writer continues to spread the red in paper and through online formats, several years after the launch of the site.